As summer fades into autumn, I have started to prepare the garden for the cold, rainy months ahead. Although most of the herb plants will do just fine left in place, I have a number which need a little extra attention if they are to survive the coming months, including the newcomers to my herbal family, the sages: Salvia mellifera and Salvia apiana. Planted in glazed pots, the sages enjoyed the sunniest spot my garden had to offer during the summer. As our weather has started to become wetter, they have been moved to our front porch to control the amount of moisture they will get over the winter and to protect them from any extremes in temperature. Although our winters are usually mild, temperatures can dip into the 20s to low 30s. Often this is just enough cold to be fatal to more delicate plants. The genus Salvia is one of the largest in the Lamiaceae or mint family with over 700 species of shrubs, herbaceous perennials and annuals. Derived from Latin, salvere means to feel well, healthy, to heal, indicating Sage’s many healing properties. The common sage used in cooking, Salvia officinalis, was recognized in the past for its importance as medicine and included in apothecaries and formularies. Sage shares many of the healing properties of most mints: carminative to ease digestion, astringent to decrease excess fluids and antibacterial to help with infection. Black Sage-Salvia mellifera- was given to me by one of my co-workers. When I received this gift, I knew nothing of Black Sage’s growing requirements or its traditional uses. I soon learned that Black Sage is native to southern California & northwestern Mexico where it grows in coastal sage scrub communities. It prefers sandy soil and does not like to be overly wet-a concern here in the Pacific Northwest with our plentiful winter rain. A perennial shrub, Black Sage has soft, oblong leaves approximately 1-2 ½ inches long. Black Sage is very aromatic-pungent and spicy. It can be used in cooking like its more common cousin, Salvia officinalis. 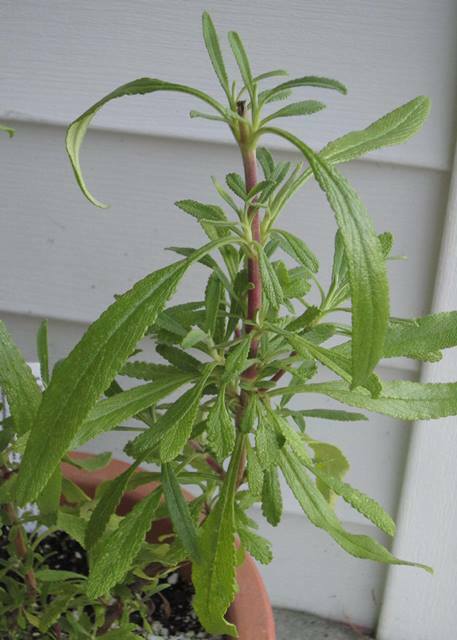 Medicinally, it has similar uses to common sage and other mints. The tiny seeds are highly nutritious with a buttery flavor and were gathered by the indigenous people and ground into meal. The leaves are often added to smudge bundles. This year I was also fortunate enough to acquire White Sage, a plant often difficult to find here. I had a beautiful one several years ago, but unfortunately, I did not heed the advice that it needed protection from our winters. Sadly, a short, but lethal cold snap did it in. White Sage-Salvia apiana- is the sage traditionally used in smudge bundles. It, too, is native to the southern California region, preferring a drier climate and more sandy soil. 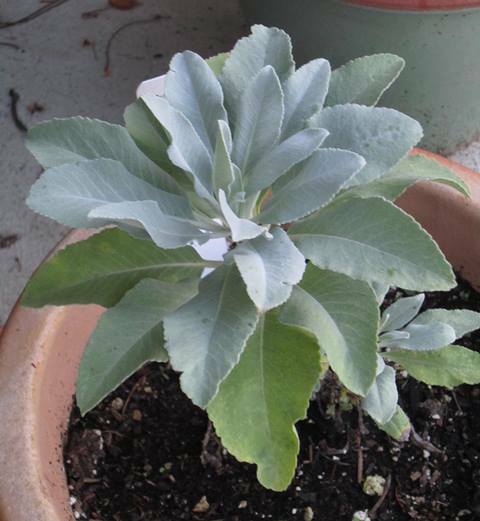 An evergreen perennial shrub, its soft, silvery green leaves release a strong scent when rubbed. The flowers of White Sage are very attractive to bees, thus its epithet, apiana, meaning, of bees. The seeds from White Sage were added to other grains and used as a staple by native people in the area. I never thought of using White Sage for anything other than smudging and purification but it has similar medicinal properties to other Salvia. A warm infusion can help ease a sore throat as well as decrease excess mucus secretions. A hair rinse made with White Sage is used to prevent graying and leaves hair shiny. With a little luck and some tender loving care, my lovely new sages will survive the winter and rejoin their friends in the herb garden next spring.